Having finished our study of biblical preaching, we resume our devotions on 1 Timothy 5. To this point Paul has been laying the theological foundation of healthy church leadership, exhorting Timothy to devote himself to the gospel, the only message that saves (1:1–2:7; 3:14–16). This groundwork includes the requirements for elders and deacons and the reasons for limiting eldership, if not also the diaconate, to men (2:8–3:13). Paul has also explained the goodness of the created order against those who deny it (4:1–5). Building on this framework, the apostle has also begun to give specific instructions for the conduct of ministry (vv. 6–16), and in today’s passage he continues to do so in directing young Timothy in how to deal with the older men in his congregation. Paul’s earlier letter to the Ephesians insists that believers obey the commandment to honor one’s parents (Eph. 6:1–3; see Ex. 20:12). He likely has this rule in mind as he guides Timothy in dealing with the senior men as Ephesus’ current pastor. Timothy needs to correct many of the elders (1 Tim. 1:3–4), but he must take into account their age as he addresses them (5:1). Paul is not absolutely forbidding hard words for older men if needed. “He does not wish old men to be spared or indulged in such a manner as to sin with impunity and without correction; he only wishes that some respect should be paid to their age, that they may more patiently bear to be admonished” (John Calvin). Young men are tempted to think that their generation has all the answers and thereby deal inappropriately with older people. But the point here is that the younger pastor, if he is in the right, must not forget the deference and respect he owes his elders in such situations (Lev. 19:32). Unless the problems of character or doctrine are especially grievous, Timothy’s approach is to be one of gentle persuasion. Timothy must love older men as fathers, seeking their restoration, not humiliation. Leo the Great, the fifth-century Roman bishop whose letter to the Council of Chalcedon helped to define orthodox Christology, wisely notes that “correction should be applied so as not to destroy charity” (ACCNT, vol. 9, p. 196). 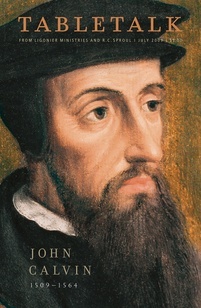 John Calvin says that today’s passage teaches us that pastors “must not only take into account their office, but must also see particularly what is due to the age of individuals.” Pastors especially must be sensitive to the age of the person with whom they are dealing, but all of God’s people must do the same. Older people should be patient with younger people. Younger people should respect their elders. All should treat one another with generous love.